Those that choose to fill out a Ben E. Keith application are looking to join a company that strives to give their customers products that are great quality and value while giving them outstanding service and responsiveness for their needs and concerns. Links to apply for jobs at Ben E. Keith are at the bottom of the page. In 1906, Ben E. Keith joined Harkrider-Morrison, a produce company, as a salesman and junior partner. Keith was able to buy controlling interest in the company in 1918, when the company was known as Harkrider-Keith-Cooke after changes in partners. By 1920, the company had grown with several production centers including two within Dallas, Texas, where they were temporarily headquartered. In order to pick up business during the summer, Keith met with Anheuser-Busch and became a distributer of their products in 1928. It wasn’t until 1931 that the company officially changed their name to Ben E. Keith, even though he had been leading the company since 1918. From 1931 until 1959, when Keith died of complication from throat cancer, the Ben E. Keith company grew, expanding across Texas. After 1959, the company grew even more, striving to keep ahead of the times and maintain state-of-the-art equipment in their facilities. This allowed them to finally expand outside of Texas in 2006 and into Oklahoma. Currently, Ben E. Keith services eleven states across the Southern United States around Texas. Recently, the company has started work on a new distribution center and headquarters branch in Little Rock, Arkansas. Ben E. Keith is also one of the biggest alcoholic drink distributors because of their deal with Anheuser-Busch. At the corporate level, you could work in any of the distribution centers as several of them house district offices. There are several Ben E. Keith jobs at all levels of the organization, from making sales to new candidates, to making sure that everything is working smoothly for deliveries, to working in the warehouses. 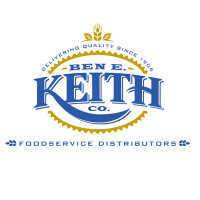 Ben E. Keith careers at the local level will have you working to make sure that food is delivered on time. You will be on the road and striving to make deliveries to customers in the eleven states that this company serves across the Southern United States. How old do you have to be to work at Ben E. Keith? Age requirements vary by position. As you look at Ben E. Keith jobs online, make sure to read all position needs carefully as some need various certifications, experiences, and degrees before you apply. People with Ben E. Keith jobs get several benefits including health/dental/life insurance, accidental death coverage, vacation days, holidays, and sick pay. For their drivers, the company offers a safety bonus to make sure that they, and their cargo, reach their destination safely. Route Service Associate – You will deliver products to customers along assigned routes, making sure that everything is received to the customers’ specifications and in assigned storage containers in a timely manner. Compensation is around $35,000 a year. Direct Sales Representative – Going out and gathering new customers is a key part of this position. Most of your time will be spent organizing and finding potential clients through a variety of sources. Compensation is around $45,000 a year. Administrative Support Personnel – In your department, you will work to make sure that everything is working smoothly with the Directors, Transportation, and Operations in order for deliveries to make it to their destinations on time. Compensation is around $35,000 a year. Warehouse, Receiver – Assisting with the unloading and check-in of dry ingredients is what this position is all about. Once the ingredients are processed, you’ll make sure that they are stored properly before they are used. Compensation is around $20,000 a year. Why do you want to work for Ben E. Keith? This is an extremely common interview question, so you should be prepared for it. Talk about what drew you to the company, whether it was the company culture or benefits and why it’s your first choice in places to work. What experience do you have? If you have any relevant experience, highlight it. If you don’t have any, instead talk about what you can bring to the company and the position, using plenty of examples to back up and enhance any claims you may make. If you’ve applied for a sales position, it will require a lot of driving so you may be asked: Do you have a good driving record and a valid license? You will also be asked: When was your last DUI conviction? Be honest. Your interviewer wants to make sure that you will arrive at your destination safely and there will be little to no issues with your driving. How to apply for Ben E. Keith online: start by deciding what part of the company you would like to work in before reading all the job requirements carefully before filling out your Ben E. Keith application. There is no printable application for Ben E. Keith as the company only accepts online applications. Before attending your interview, do research on Ben E. Keith and the industry in order to come up with a list of questions that you can ask. This may seem excessive, especially for an entry-level position, but it will place you in front of the other candidates as it shows that you think ahead. Dress nicely for your interview, in business casual if you can, as your interview will be in a semi-formal setting. If you’ve applied for a managerial, sales, or corporate position, a suit would be appropriate. Have a positive and friendly demeanor when you attend your interview, it will give a good impression. Show gratitude at the opportunity to interview with the company. Afterwards, inquire about the best way to check on your hiring status as few applicants will learn if they got the position during their interview because Ben E. Keith will want to screen all candidates before making a final decision on who they hire. Happy’s Pizza: Visit the Happy’s Pizza application. Pizza Ranch: Pizza Ranch offers opportunities for both, beginners and experienced roles. Ninety Nine: Visit the Ninety Nine application. Fox & Hound Restaurant: See our guide for careers at Fox & Hound Restaurant. T.G.I. Friday’s: See this page for jobs at T.G.I. Friday’s.